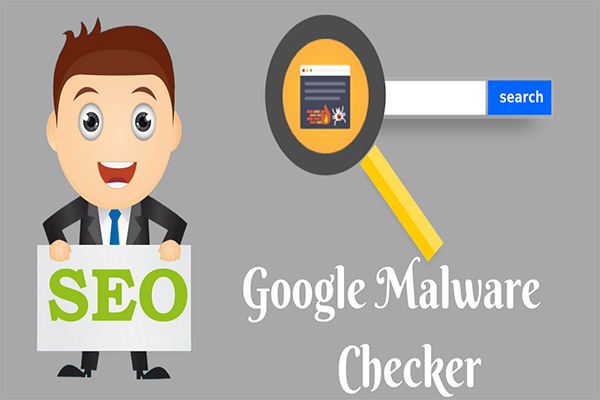 Google Malware checker is a cloud-based technology that scans every website to find Malware issues and provide a security report. The tool analyzes the URL on the web to check vulnerable malware scripts, un-publisher downloads, website hacked information and provide to the user. We see daily some thousand of website been hacked and year by year its keep increasing to a massive level. So such a website will be affected severely and chances of losing data completely. In order to protect your domain from these attacks, regularly check your site with online malware checker tool to find signs of malware programs. Each malware works differently, accordingly, they require different removal methods. Though avoiding suspicious links, emails or websites are good online habits to prevent malware damage, it doesn’t work well in case they are present in legitimate websites. To combat the threats caused by malware at all costs, remove the malware, and protect your system the only way is to use and anti-malware software. It is commonly known as an antivirus. On this front, Google Malware Checker is a special tool that is designed to help you detect the malware on your own website and every other that you visit. This is a scanner that uses an intelligent malware detection software that detects malicious scripts and viruses. The tool deeply scans every web page of the site to find any infected pages appeared on the site. We have built a strong security feature to scan every structure of your site code to detect various types of viruses using our Google malware checker tool. A virus that attaches itself to clean files in a system and infects them. It can spread so wild that the damage can become uncontrollable. It can also delete or corrupt your files. A Trojan disguises itself as a legitimate software or software that has been damaged. It creates backdoors and lets other malware enter your system. Spyware, like a detective, hides in your system’s background and takes notes of your surfing activities, passwords, and important details of your credit card. A worm infects each and every device connected via a network and uses the network interfaces to harm your systems. Ransomware can even lock down your system and threaten to erase everything in case you refuse to pay a ransom to the owner. Adware is aggressive advertising software that can threaten your security by serving ads that give entry to other malware. A botnet is an infected network of computers working together under the attacker’s control. Therefore, it is important to take note of the websites or Domain IDs that visit your domain to take precautionary measures and action against such malicious intentions. The Google Malware Checker is an online tool that provides users with web security threat reports so they can take preventive measures. A regular check via this cloud-based online tool can help users and website owners avoid viruses. Google Malware Checker is absolutely a hundred percent free to use. All you need to provide a website URL and click submit button to know your website is safe from Malware issues. Your site will run on our server for more Malware scanning issues and give back to your site is hacked by trojans or other Malware which are affected by any third party scripts. The first step is to enter the Main URL in the provided box. Click the submit button to find any malware is attacked your site. After clicking it starts scanning your system and displays all the unwanted software including apps. The Google Chrome Cleanup is an on-demand scanner that does not offer real-time protection. However, run a scan regularly confirms that your system’s security status. It is free. You don’t have to spend thousands of rupees to buy a tool that scans websites and system and also provide you with security reports. It analyses the safety of a website and reports all suspicious scripts, malicious content, and other threats hidden in the content so you can control damage or minimize the severity. The report also provides a list of affected pages and also the reasons for the detection. Should there be any suspicious script on pages? Though the internet brings with it many perks, you cannot escape from its risks. Malware is one such risk that can cause a threat to your computer. It is a software that is deliberately designed to damage a computer, client, server or a computer network. It can take the form of executable code, active content, script or any other software. A malware damages a system after it is implanted in your system. Therefore, it is important to protect your system against potential threat caused by malware. A virus is a malware that attaches itself to clean files and infect all the clean files in a system. It usually takes the form of an executable file and can spread wildly so much so that you can’t control the damage. It can damage your system’s core functionality and delete or corrupt all the files. A Trojan masks itself as legitimate software. Alternatively, it can also be included in legitimate software that the Trojan has damaged. It acts individually and creates backdoors in your system’s security for other malware to enter. A spyware spies on you. Like a detective, spyware hides in the background of your system and notes your important surfing activities and details. It notes down what you do online, your passwords, credit card details, and more. A worm infects all the devices connected via a network, whether local or internet. It uses network interfaces to damage the systems and uses each infected machine to spread further network. Ransomware is also called as scareware. It can cause severe damage to an extent that it can lock down your system and also threaten to erase everything unless you pay a ransom to its owner. True to its name, adware is not malicious in nature. However, an aggressive advertising software can threaten your security serving ads that let other malware in. A botnet is a network of infected computers that work together under an attacker’s control. Detects malware issues very easily with one click of a button. The tool checks viruses directly from the Google server and shows any signs of error. Scans every page of your site and shows any signs of infected pages to the users. No need for registration required using the tool and it's completely free of charge. Just requires less than 20 seconds to find malware attacks appeared on the site. The Google Malware Checker protects your database from SQL injections. Keep windows programs, software applications, and search engines up to date. Remember to conduct regular scans to ensure your system’s security and minimize information loss.